2nd Story: Banshee bursts into Interpol headquarters, enraged to have learned that Lipton is still alive. Lipton was a scientist whom Banshee was assigned to protect early in his career. The pair were attacked by Hydra, and when Banshee revealed his mutant power to Lipton in order to save bystanders, Lipton realized Banshee would be dangerous in the hands of Hydra. So he turned himself over in exchange for Banshee's life. Learning his whereabouts, Banshee storms the Hydra castle where the dying Lipton is being held, to be with the man in his dying hour. This issue introduces a new Hellfire Club Inner Circle, led by Shinobi Shaw, consisting of Benedict Kine, Benazir Naur, and Reeva Payge. They all have powers and junk, but we're given no indication of their titles (ie White Queen, etc.) and they don't appear much (if at all) after this issue, so it's hard to care too much (it's also not the last new Inner Circle we're going to see). The second story in this issue features Banshee and uses his Interpol days as inspiration, something we don't see very often. The issue concludes with the usual round of pinups. As with the rest of the '94 annuals, this is the last numbered X-Men annual for a while, as Marvel shifts to numbering their annuals by year in 1995. The writer of this issue is Ian Edington, a British writer whose other notable work for the X-office is a run on X-Force with Warren Ellis as part of the "Counter-X" relaunch. Gene Ha pencils the issue, between his work on the two "young Cable in the future" miniseries. Bishop apparently sleeps with a gun, which makes sense. 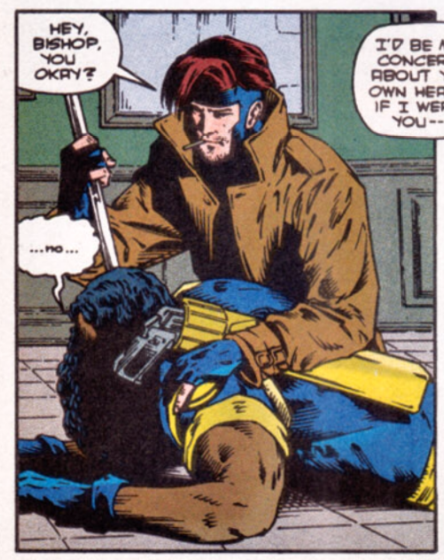 There's a funny bit where Gambit asks Bishop, after saving him from one of the new Inner Circles' attacks, as =ks if he's okay, and he simply says "no". One of the new Inner Circle members has a power that enables her to speed up the ill effects of Gambit's smoking, giving him (presumably) cancerous tumors, making this the second annual in a row to feature weird lesions on one of the X-Men. Even putting aside the fact that Shinobi Shaw's new Inner Circle amounts to nothing, this issue is still a dud. If the loose theme of the '94 annuals is "spotlight a villain", Shinobi is certainly a worthy candidate: for various reasons (but mostly his connection to Sebastian Shaw and the Hellfire Club), he's managed to outlast and rise above his fellow Upstarts (clearing a low bar, to be sure) and exist as a villain independent of that group, but he's nevertheless not the most well-developed of villains, and could benefit from a closer examination. But the main story in this annual isn't really about him; it's a Storm story. Which, in and of itself, is also fine, except this isn't a very good Storm story, either. It's predicated on Shinboi having some kind of deep, meaningful read on Storm, and even if he's ultimately wrong about that, it's confusing as to why he even thought he knew her so well in the first place, given this is probably the first time the two characters have ever directly interacted (constrast this with Shinobi's previous attempt to woo Archangel & Psylocke, which worked thanks to shared upbringings amongst the three and newly-revealed childhood interactions between Shinobi & Archangel). So even if Shinobi's insights into Storm turned out to be particularly cutting (which they're not), they wouldn't make much sense, because the story provides no rationale for Shinobi having them in the first place. 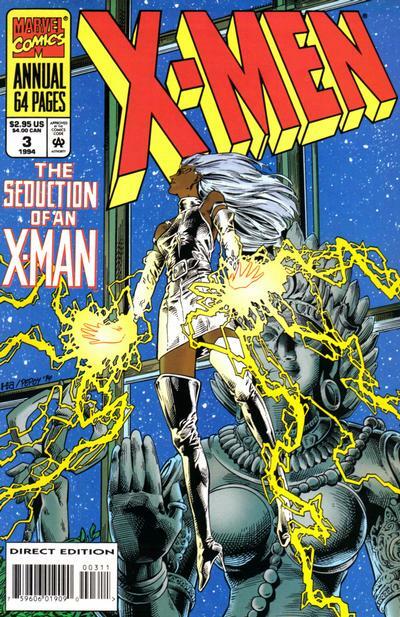 The end result is a fairly bland "Storm grapples with her passions/dark side" routine, prompted by a villain who has no cause to even believe she possesses a dark side, who gains nothing in terms of character development via his machinations. The Gene Ha art is nice (if underwhelming compared to what he got to do in the Cyclops & Phoenix mini), but it's not enough to salvage a dud of a story. 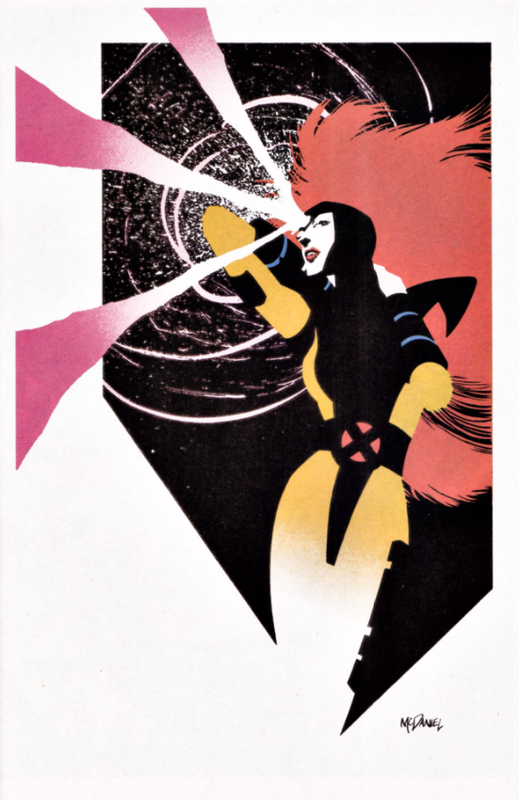 Tomorrow, Dani Moonstar gets the spotlight in X-Force Annual #3. Friday, "Phalanx Covenant" concludes in Cable #16. Next week, Uncanny X-Men #318. Like what you read? Support us on Patreon! Storm wasn't utilized too much in the previous months so I was happy to see her get a spotlight, both here and in unlimited 7, but found both issues very underwhelming. The line really felt bloated at this point, and it was only a couple months later that I dropped the X titles. I've never read this annual, and -- even taking into account the backup story starring Banshee -- I have no desire to. I believe next year would be the first time I picked up an annual from the X-Men line off the stands (and I bought them for both X-MEN and UNCANNY, as well as GENERATION X), though I had been reading Spider-Man annuals for a few years at this point. 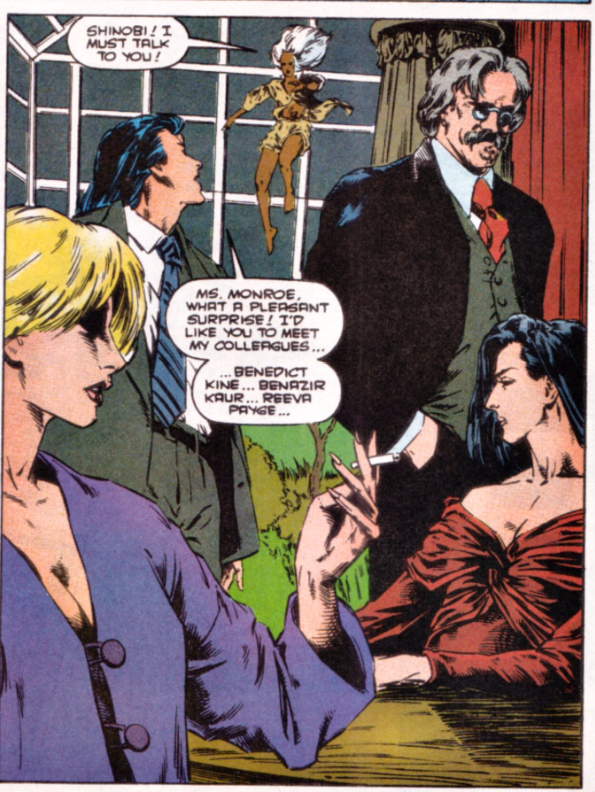 Reeva Payge is a significant character on The Gifted now but this seems to be her only appearance in the comics. 're staffing it with some deep-cut members. Yes and no. [This isn't a spoiler except in the absolutely widest possible sense:] Near as I can recall, and I’ve actually been keeping an ear out because it’s so odd, the words “Hellfire Club” were only spoken during a brief infodump on the background of this offshoot group that’s exclusively referred to as just… the Inner Circle. Which doesn’t at all invalidate the gist of your comment, especially since Reeva Payge is introduced with such a rank in this issue, but the lack of context for a name that doesn’t make sense in isolation really bugs me.